Sport trim, Redline Pearl Coat exterior. FUEL EFFICIENT 31 MPG Hwy/22 MPG City! Dual Zone A/C, Smart Device Integration, Keyless Start, 4x4, TRANSMISSION: 6-SPEED C635 MANUAL, ENGINE: 2.4L I4 MULTIAIR, Bluetooth, iPod/MP3 Input CLICK ME! KEY FEATURES INCLUDE 4x4, Back-Up Camera, iPod/MP3 Input, Bluetooth, Keyless Start, Dual Zone A/C, Smart Device Integration. Rear Spoiler, MP3 Player, Keyless Entry, Child Safety Locks, Steering Wheel Controls. OPTION PACKAGES ENGINE: 2.4L I4 MULTIAIR (STD), TRANSMISSION: 6-SPEED C635 MANUAL (STD). EXPERTS RAVE Edmunds.com's review says It's capable when the trail gets tough, and it's also a decent highway cruiser.. Great Gas Mileage: 31 MPG Hwy. MORE ABOUT US Central Maine Motors Auto Group has been proudly serving the community since 1935. We do not charge documentation fees, we provide a full tank of gas whether you choose to purchase a new or pre-owned vehicle as well as complimentary, lifetime Maine State Inspections. Please confirm the accuracy of the included equipment by calling us prior to purchase. Latitude trim, Jazz Blue Pearl Coat exterior. Bluetooth, Keyless Start, Dual Zone A/C, iPod/MP3 Input, ENGINE: 2.4L I4 ZERO EVAP M-AIR W/ESS... Aluminum Wheels, TRANSMISSION: 9-SPEED 948TE AUTOMATIC... EPA 30 MPG Hwy/22 MPG City! READ MORE! KEY FEATURES INCLUDE 4x4, Back-Up Camera, Satellite Radio, iPod/MP3 Input, Bluetooth, Aluminum Wheels, Keyless Start, Dual Zone A/C. Rear Spoiler, MP3 Player, Privacy Glass, Keyless Entry, Child Safety Locks. OPTION PACKAGES TRANSMISSION: 9-SPEED 948TE AUTOMATIC Leather Wrapped Shift Knob, 3.73 Axle Ratio, Air Vents Center Console/Rear Seats, Autostick Automatic Transmission, ENGINE: 2.4L I4 ZERO EVAP M-AIR W/ESS. EXPERTS ARE SAYING Edmunds.com explains It's capable when the trail gets tough, and it's also a decent highway cruiser.. Great Gas Mileage: 30 MPG Hwy. WHY BUY FROM US Central Maine Motors Auto Group has been proudly serving the community since 1935. We do not charge documentation fees, we provide a full tank of gas whether you choose to purchase a new or pre-owned vehicle as well as complimentary, lifetime Maine State Inspections. Please confirm the accuracy of the included equipment by calling us prior to purchase. Latitude trim, Billet Silver Metallic Clear Coat exterior. FUEL EFFICIENT 30 MPG Hwy/22 MPG City! Bluetooth, Keyless Start, Dual Zone A/C, Alloy Wheels, TRANSMISSION: 9-SPEED 948TE AUTOMATIC... 4x4, iPod/MP3 Input, Back-Up Camera AND MORE! KEY FEATURES INCLUDE 4x4, Back-Up Camera, Satellite Radio, iPod/MP3 Input, Bluetooth, Aluminum Wheels, Keyless Start, Dual Zone A/C. Rear Spoiler, MP3 Player, Privacy Glass, Keyless Entry, Child Safety Locks. OPTION PACKAGES TRANSMISSION: 9-SPEED 948TE AUTOMATIC Leather Wrapped Shift Knob, 3.73 Axle Ratio, Air Vents Center Console/Rear Seats, Autostick Automatic Transmission, ENGINE: 2.4L I4 ZERO EVAP M-AIR W/ESS. EXPERTS ARE SAYING Edmunds.com's review says It's capable when the trail gets tough, and it's also a decent highway cruiser.. Great Gas Mileage: 30 MPG Hwy. MORE ABOUT US Central Maine Motors Auto Group has been proudly serving the community since 1935. We do not charge documentation fees, we provide a full tank of gas whether you choose to purchase a new or pre-owned vehicle as well as complimentary, lifetime Maine State Inspections. Please confirm the accuracy of the included equipment by calling us prior to purchase. Latitude trim, Diamond Black Crystal P/C exterior. FUEL EFFICIENT 30 MPG Hwy/22 MPG City! Bluetooth, Keyless Start, Dual Zone A/C, Aluminum Wheels, TRANSMISSION: 9-SPEED 948TE AUTOMATIC... ENGINE: 2.4L I4 ZERO EVAP M-AIR W/ESS... CLICK NOW! KEY FEATURES INCLUDE 4x4, Back-Up Camera, Satellite Radio, iPod/MP3 Input, Bluetooth, Aluminum Wheels, Keyless Start, Dual Zone A/C Rear Spoiler, MP3 Player, Privacy Glass, Keyless Entry, Child Safety Locks. OPTION PACKAGES TRANSMISSION: 9-SPEED 948TE AUTOMATIC Leather Wrapped Shift Knob, 3.73 Axle Ratio, Air Vents Center Console/Rear Seats, Autostick Automatic Transmission, ENGINE: 2.4L I4 ZERO EVAP M-AIR W/ESS. EXPERTS ARE SAYING Edmunds.com's review says It's capable when the trail gets tough, and it's also a decent highway cruiser.. Great Gas Mileage: 30 MPG Hwy. MORE ABOUT US Central Maine Motors Auto Group has been proudly serving the community since 1935. We do not charge documentation fees, we provide a full tank of gas whether you choose to purchase a new or pre-owned vehicle as well as complimentary, lifetime Maine State Inspections. Please confirm the accuracy of the included equipment by calling us prior to purchase. Laser Blue Pearl Coat exterior, Latitude trim. Bluetooth, Keyless Start, Dual Zone A/C, Alloy Wheels, TRANSMISSION: 9-SPEED 948TE AUTOMATIC... ENGINE: 2.4L I4 ZERO EVAP M-AIR W/ESS... FUEL EFFICIENT 30 MPG Hwy/22 MPG City! CLICK ME! KEY FEATURES INCLUDE 4x4, Back-Up Camera, Satellite Radio, iPod/MP3 Input, Bluetooth, Aluminum Wheels, Keyless Start, Dual Zone A/C Rear Spoiler, MP3 Player, Privacy Glass, Keyless Entry, Child Safety Locks. OPTION PACKAGES TRANSMISSION: 9-SPEED 948TE AUTOMATIC Leather Wrapped Shift Knob, 3.73 Axle Ratio, Air Vents Center Console/Rear Seats, Autostick Automatic Transmission, ENGINE: 2.4L I4 ZERO EVAP M-AIR W/ESS. EXPERTS RAVE Edmunds.com's review says It's capable when the trail gets tough, and it's also a decent highway cruiser.. Great Gas Mileage: 30 MPG Hwy. 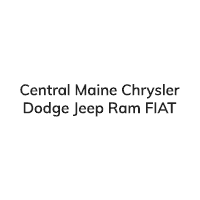 VISIT US TODAY Central Maine Motors Auto Group has been proudly serving the community since 1935. We do not charge documentation fees, we provide a full tank of gas whether you choose to purchase a new or pre-owned vehicle as well as complimentary, lifetime Maine State Inspections. Please confirm the accuracy of the included equipment by calling us prior to purchase. EPA 30 MPG Hwy/22 MPG City! Latitude trim, Jazz Blue Pearl Coat exterior. Bluetooth, Keyless Start, Dual Zone A/C, Alloy Wheels, ENGINE: 2.4L I4 ZERO EVAP M-AIR W/ESS... TRANSMISSION: 9-SPEED 9HP48 AUTOMATIC... 4x4. CLICK ME! KEY FEATURES INCLUDE 4x4, Back-Up Camera, Satellite Radio, iPod/MP3 Input, Bluetooth, Aluminum Wheels, Keyless Start, Dual Zone A/C Rear Spoiler, MP3 Player, Keyless Entry, Privacy Glass, Child Safety Locks. OPTION PACKAGES TRANSMISSION: 9-SPEED 9HP48 AUTOMATIC, ENGINE: 2.4L I4 ZERO EVAP M-AIR W/ESS. EXPERTS RAVE Great Gas Mileage: 30 MPG Hwy. VISIT US TODAY Central Maine Motors Auto Group has been proudly serving the community since 1935. We do not charge documentation fees, we provide a full tank of gas whether you choose to purchase a new or pre-owned vehicle as well as complimentary, lifetime Maine State Inspections. Please confirm the accuracy of the included equipment by calling us prior to purchase. Heated Seats, Bluetooth, Dual Zone A/C, Smart Device Integration, TRANSMISSION: 9-SPEED 9HP48 AUTOMATIC... COLD WEATHER GROUP. Diamond Black Crystal P/C exterior, Upland Edition trim. FUEL EFFICIENT 30 MPG Hwy/22 MPG City! SEE MORE! KEY FEATURES INCLUDE 4x4, Back-Up Camera, iPod/MP3 Input, Bluetooth, Aluminum Wheels, Dual Zone A/C, Smart Device Integration Rear Spoiler, MP3 Player, Keyless Entry, Child Safety Locks, Steering Wheel Controls. OPTION PACKAGES TRANSMISSION: 9-SPEED 9HP48 AUTOMATIC (STD), QUICK ORDER PACKAGE 27T UPLAND EDITION Engine: 2.4L I4 Zero Evap M-Air w/ESS, Transmission: 9-Speed 9HP48 Automatic, Body Color Door Handles, Black Side Roof Rails, Black 4x4 Tailgate Badge, Fog & Cornering Lamps, Gloss Black Lower Rear Fascia Valance, Gloss Black Compass Badge, Gloss Black Jeep Badge, Black Tow Hooks, All-Season Floor Mats, Front Suspension Skid Plate, Upland Edition, Deep Tint Sunscreen Glass, Body Color Exterior Mirrors, Black Grille w/Black Rings, Silver Anodized Interior Accents, Bright Exhaust Tip, Upland Suspension, Upland Fascias, Gloss Black Tow Hook Bezels, Gloss Black Fog Lamp Bezels, COLD WEATHER GROUP Leather Wrapped Steering Wheel, Heated Front Seats, Reversible Carpet/Vinyl Cargo Mat, Windshield Wiper De-Icer, Remote Start System, All-Season Floor Mats, Heated Steering Wheel, ENGINE: 2.4L I4 ZERO EVAP M-AIR W/ESS (STD). VEHICLE REVIEWS Great Gas Mileage: 30 MPG Hwy. WHO WE ARE Central Maine Motors Auto Group has been proudly serving the community since 1935. We do not charge documentation fees, we provide a full tank of gas whether you choose to purchase a new or pre-owned vehicle as well as complimentary, lifetime Maine State Inspections. Please confirm the accuracy of the included equipment by calling us prior to purchase. Heated Seats, Bluetooth, Keyless Start, Dual Zone A/C, ENGINE: 2.4L I4 ZERO EVAP M-AIR W/ESS... Aluminum Wheels, COLD WEATHER GROUP, iPod/MP3 Input. EPA 30 MPG Hwy/22 MPG City! Jazz Blue Pearl Coat exterior, Latitude trim CLICK ME! KEY FEATURES INCLUDE 4x4, Back-Up Camera, Satellite Radio, iPod/MP3 Input, Bluetooth, Aluminum Wheels, Keyless Start, Dual Zone A/C. Rear Spoiler, MP3 Player, Privacy Glass, Keyless Entry, Steering Wheel Controls. OPTION PACKAGES TRANSMISSION: 9-SPEED 948TE AUTOMATIC Leather Wrapped Shift Knob, 3.73 Axle Ratio, Air Vents Center Console/Rear Seats, Autostick Automatic Transmission, COLD WEATHER GROUP Heated Front Seats, Reversible Carpet/Vinyl Cargo Mat, Windshield Wiper De-Icer, All-Season Floor Mats, Heated Steering Wheel, ENGINE: 2.4L I4 ZERO EVAP M-AIR W/ESS. EXPERTS CONCLUDE Edmunds.com's review says It's capable when the trail gets tough, and it's also a decent highway cruiser.. Great Gas Mileage: 30 MPG Hwy. WHY BUY FROM US Central Maine Motors Auto Group has been proudly serving the community since 1935. We do not charge documentation fees, we provide a full tank of gas whether you choose to purchase a new or pre-owned vehicle as well as complimentary, lifetime Maine State Inspections. Please confirm the accuracy of the included equipment by calling us prior to purchase. Heated Seats, Bluetooth, Dual Zone A/C, iPod/MP3 Input, ENGINE: 2.4L I4 ZERO EVAP M-AIR W/ESS... TRANSMISSION: 9-SPEED 9HP48 AUTOMATIC... Altitude trim, Redline Pearl Coat exterior. FUEL EFFICIENT 30 MPG Hwy/22 MPG City! SEE MORE! KEY FEATURES INCLUDE 4x4, Back-Up Camera, Satellite Radio, iPod/MP3 Input, Bluetooth, Aluminum Wheels, Dual Zone A/C Rear Spoiler, MP3 Player, Privacy Glass, Keyless Entry, Child Safety Locks. OPTION PACKAGES TRANSMISSION: 9-SPEED 9HP48 AUTOMATIC (STD), COLD WEATHER GROUP Heated Front Seats, Reversible Carpet/Vinyl Cargo Mat, Windshield Wiper De-Icer, Remote Start System, All-Season Floor Mats, Heated Steering Wheel, ENGINE: 2.4L I4 ZERO EVAP M-AIR W/ESS (STD). EXPERTS REPORT Great Gas Mileage: 30 MPG Hwy. WHY BUY FROM US Central Maine Motors Auto Group has been proudly serving the community since 1935. We do not charge documentation fees, we provide a full tank of gas whether you choose to purchase a new or pre-owned vehicle as well as complimentary, lifetime Maine State Inspections. Please confirm the accuracy of the included equipment by calling us prior to purchase. Heated Seats, Bluetooth, Dual Zone A/C, iPod/MP3 Input, ENGINE: 2.4L I4 ZERO EVAP M-AIR W/ESS... COLD WEATHER GROUP, Alloy Wheels. FUEL EFFICIENT 30 MPG Hwy/22 MPG City! Diamond Black Crystal P/C exterior, Altitude trim SEE MORE! KEY FEATURES INCLUDE 4x4, Back-Up Camera, Satellite Radio, iPod/MP3 Input, Bluetooth, Aluminum Wheels, Dual Zone A/C. Rear Spoiler, MP3 Player, Privacy Glass, Keyless Entry, Child Safety Locks. OPTION PACKAGES TRANSMISSION: 9-SPEED 948TE AUTOMATIC Leather Wrapped Shift Knob, Air Vents Center Console/Rear Seats, Autostick Automatic Transmission (STD), COLD WEATHER GROUP Heated Front Seats, Reversible Carpet/Vinyl Cargo Mat, Windshield Wiper De-Icer, Remote Start System, All-Season Floor Mats, Heated Steering Wheel, ENGINE: 2.4L I4 ZERO EVAP M-AIR W/ESS (STD). EXPERTS ARE SAYING It's capable when the trail gets tough, and it's also a decent highway cruiser. -Edmunds.com. Great Gas Mileage: 30 MPG Hwy. WHY BUY FROM US Central Maine Motors Auto Group has been proudly serving the community since 1935. We do not charge documentation fees, we provide a full tank of gas whether you choose to purchase a new or pre-owned vehicle as well as complimentary, lifetime Maine State Inspections. Please confirm the accuracy of the included equipment by calling us prior to purchase. Heated Leather Seats, Remote Engine Start, Dual Zone A/C, Smart Device Integration, Alloy Wheels, 4x4, Bluetooth, iPod/MP3 Input. Limited trim, Granite Crystal Met. Clear Coat exterior. FUEL EFFICIENT 30 MPG Hwy/22 MPG City! CLICK ME! KEY FEATURES INCLUDE Leather Seats, 4x4, Heated Driver Seat, Back-Up Camera, Satellite Radio, iPod/MP3 Input, Bluetooth, Aluminum Wheels, Remote Engine Start, Dual Zone A/C, Smart Device Integration, Heated Seats, Heated Leather Seats Rear Spoiler, MP3 Player, Privacy Glass, Keyless Entry, Steering Wheel Controls. OPTION PACKAGES ENGINE: 2.4L I4 ZERO EVAP M-AIR W/ESS (STD), TRANSMISSION: 9-SPEED 948TE AUTOMATIC Leather Wrapped Shift Knob, Air Vents Center Console/Rear Seats, Autostick Automatic Transmission (STD). EXPERTS RAVE Edmunds.com's review says It's capable when the trail gets tough, and it's also a decent highway cruiser.. Great Gas Mileage: 30 MPG Hwy. BUY FROM AN AWARD WINNING DEALER Central Maine Motors Auto Group has been proudly serving the community since 1935. We do not charge documentation fees, we provide a full tank of gas whether you choose to purchase a new or pre-owned vehicle as well as complimentary, lifetime Maine State Inspections. Please confirm the accuracy of the included equipment by calling us prior to purchase. Heated Leather Seats, Bluetooth, Dual Zone A/C, Smart Device Integration, iPod/MP3 Input, TRANSMISSION: 9-SPEED 948TE AUTOMATIC... COLD WEATHER GROUP. Redline Pearl Coat exterior, Trailhawk trim. EPA 30 MPG Hwy/22 MPG City! AND MORE! KEY FEATURES INCLUDE Leather Seats, 4x4, Back-Up Camera, Satellite Radio, iPod/MP3 Input, Bluetooth, Aluminum Wheels, Dual Zone A/C, Smart Device Integration, Heated Leather Seats. Rear Spoiler, MP3 Player, Keyless Entry, Privacy Glass, Child Safety Locks. OPTION PACKAGES COLD WEATHER GROUP Heated Front Seats, Windshield Wiper De-Icer, Remote Start System, Heated Steering Wheel, POPULAR EQUIPMENT GROUP 4-Way Power Lumbar Adjust, Rear View Auto Dim Mirror, Power 8-Way Driver/Manual 6-Way Passenger Seats, ENGINE: 2.4L I4 ZERO EVAP M-AIR W/ESS (STD), TRANSMISSION: 9-SPEED 948TE AUTOMATIC Leather Wrapped Shift Knob, Air Vents Center Console/Rear Seats, Autostick Automatic Transmission (STD). EXPERTS ARE SAYING Great Gas Mileage: 30 MPG Hwy. BUY FROM AN AWARD WINNING DEALER Central Maine Motors Auto Group has been proudly serving the community since 1935. We do not charge documentation fees, we provide a full tank of gas whether you choose to purchase a new or pre-owned vehicle as well as complimentary, lifetime Maine State Inspections. Please confirm the accuracy of the included equipment by calling us prior to purchase. Moonroof, Nav System, Heated Leather Seats, Bluetooth, Remote Engine Start, Back-Up Camera, POWER FRONT/FIXED REAR FULL SUNROOF. Billet Silver Metallic Clear Coat exterior, Limited trim. FUEL EFFICIENT 30 MPG Hwy/22 MPG City! SEE MORE! KEY FEATURES INCLUDE Leather Seats, 4x4, Heated Driver Seat, Back-Up Camera, Bluetooth, Aluminum Wheels, Remote Engine Start, Dual Zone A/C, Heated Seats, Heated Leather Seats Rear Spoiler, Keyless Entry, Privacy Glass, Steering Wheel Controls, Child Safety Locks. OPTION PACKAGES POWER FRONT/FIXED REAR FULL SUNROOF, RADIO: UCONNECT 4C NAV W/8.4 DISPLAY SiriusXM Travel Link, 1-Year SiriusXM Guardian Trial, Bluetooth Streaming Audio, Media Hub (USB, AUX), HD Radio, SiriusXM Traffic Plus, GPS Navigation, 8.4 Touch Screen Display, Bluetooth Integrated Voice Command, Apple CarPlay, TRANSMISSION: 9-SPEED 948TE AUTOMATIC Leather Wrapped Shift Knob, Air Vents Center Console/Rear Seats, Autostick Automatic Transmission (STD), ENGINE: 2.4L I4 ZERO EVAP M-AIR W/ESS (STD). EXPERTS ARE SAYING It's capable when the trail gets tough, and it's also a decent highway cruiser. -Edmunds.com. Great Gas Mileage: 30 MPG Hwy. VISIT US TODAY Central Maine Motors Auto Group has been proudly serving the community since 1935. We do not charge documentation fees, we provide a full tank of gas whether you choose to purchase a new or pre-owned vehicle as well as complimentary, lifetime Maine State Inspections. Please confirm the accuracy of the included equipment by calling us prior to purchase. Sunroof, Heated Leather Seats, NAV, Back-Up Camera, Bluetooth, Dual Zone A/C, ENGINE: 2.4L I4 ZERO EVAP M-AIR W/ESS... LEATHER INTERIOR GROUP. EPA 30 MPG Hwy/22 MPG City! Trailhawk trim, Spitfire Orange Clear Coat exterior READ MORE! KEY FEATURES INCLUDE Leather Seats, 4x4, Back-Up Camera, Bluetooth, Aluminum Wheels, Dual Zone A/C, Heated Leather Seats. Rear Spoiler, Privacy Glass, Keyless Entry, Child Safety Locks, Steering Wheel Controls. OPTION PACKAGES LEATHER INTERIOR GROUP 4-Way Power Lumbar Adjust, Heated Front Seats, Windshield Wiper De-Icer, Rear View Auto Dim Mirror, Remote Start System, Heated Steering Wheel, Power 8-Way Driver/Manual 6-Way Passenger Seats, POWER FRONT/FIXED REAR FULL SUNROOF, RADIO: UCONNECT 4C NAV W/8.4 DISPLAY SiriusXM Travel Link, 1-Year SiriusXM Guardian Trial, Bluetooth Streaming Audio, Media Hub (USB, AUX), HD Radio, SiriusXM Traffic Plus, GPS Navigation, 8.4 Touch Screen Display, Bluetooth Integrated Voice Command, Apple CarPlay, POWER LIFTGATE, ENGINE: 2.4L I4 ZERO EVAP M-AIR W/ESS (STD), TRANSMISSION: 9-SPEED 9HP48 AUTOMATIC (STD). VEHICLE REVIEWS Great Gas Mileage: 30 MPG Hwy. WHO WE ARE Central Maine Motors Auto Group has been proudly serving the community since 1935. We do not charge documentation fees, we provide a full tank of gas whether you choose to purchase a new or pre-owned vehicle as well as complimentary, lifetime Maine State Inspections. Please confirm the accuracy of the included equipment by calling us prior to purchase. Nav System, Moonroof, Heated Leather Seats, Premium Sound System, Bluetooth, Back-Up Camera, TRANSMISSION: 9-SPEED 948TE AUTOMATIC... Diamond Black Crystal P/C exterior, High Altitude trim. FUEL EFFICIENT 30 MPG Hwy/22 MPG City! CLICK NOW! KEY FEATURES INCLUDE Leather Seats, 4x4, Heated Driver Seat, Back-Up Camera, Premium Sound System, Bluetooth, Aluminum Wheels, Remote Engine Start, Dual Zone A/C, Heated Seats, Heated Leather Seats Rear Spoiler, Privacy Glass, Keyless Entry, Child Safety Locks, Steering Wheel Controls. OPTION PACKAGES QUICK ORDER PACKAGE 2GF HIGH ALTITUDE Engine: 2.4L I4 Zero Evap M-Air w/ESS, Transmission: 9-Speed 948TE Automatic, Satin Granite Fog Lamp Bezels, Black Side Roof Rails, Black Grille w/Satin Granite Rings, Black 4x4 Tailgate Badge, 5-Year SiriusXM Travel Link Service, 5-Year SiriusXM Traffic Service, LED Taillamps, Gloss Black Compass Badge, Satin Granite Exterior Accents, Gloss Black Jeep Badge, SiriusXM Travel Link, 1-Year SiriusXM Guardian Trial, Bluetooth Streaming Audio, Media Hub (USB, AUX), HD Radio, SiriusXM Traffic Plus, GPS Navigation, 8.4 Touch Screen Display, Bluetooth Integrated Voice Command, Apple CarPlay, For Details, Visit DriveUconnect.com, High Altitude Package, Black/Body Color Exterior Mirrors, Tungsten Accent Stitching, Remote USB Port Second Row, Gun Metal Interior, POWER FRONT/FIXED REAR FULL SUNROOF, SAFETY & SECURITY GROUP Rain Sensitive/Intermittent Wipers, Blind Spot & Cross Path Detection, ParkSense Rear Park Assist System, TRANSMISSION: 9-SPEED 948TE AUTOMATIC Leather Wrapped Shift Knob, Air Vents Center Console/Rear Seats, Autostick Automatic Transmission (STD), ENGINE: 2.4L I4 ZERO EVAP M-AIR W/ESS (STD). VEHICLE REVIEWS It's capable when the trail gets tough, and it's also a decent highway cruiser. -Edmunds.com. Great Gas Mileage: 30 MPG Hwy. Please confirm the accuracy of the included equipment by calling us prior to purchase.